How to create many new accounts at once? Or update information in users' Profiles? Import using .xls file. Click Import and download sample file in .xls format. You can add as many columns and rows as you want. After you upload the file, Import button will become active and change its color to black. It is not necessary to fill in all the info at once. But in order to have the account created, you need to input at least first name, last name and email. If you input Manager's email, the hierarchy will be built right away. 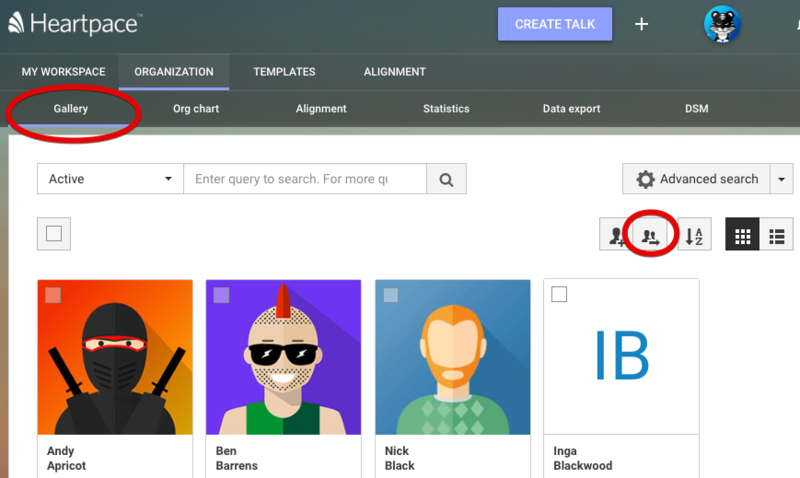 Add missing columns to the file corresponding to those you have in Profile template. Choose the activation mode which will be applied to all the users in the file and click the IMPORT button to start the file parsing process. Depending on the activation mode you choose, the new users can receive notification emails with activation links. The email must be unique! Otherwise, the user with this email which will be the last in the import file will rewrite the previous. All the users with the same email in the file before him won't be uploaded. Or if the user with such email already existed before, he will have his info rewritten. 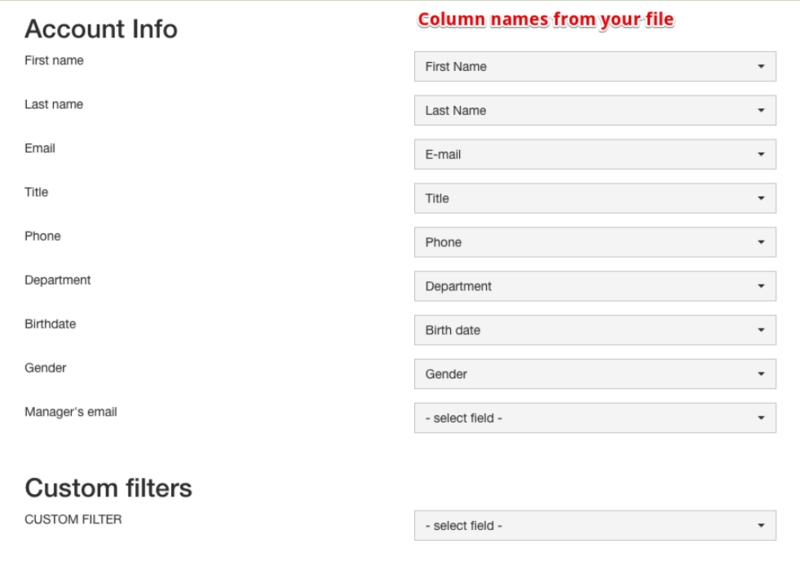 Some of the columns (like Gender and Birthdate) must have a certain format. 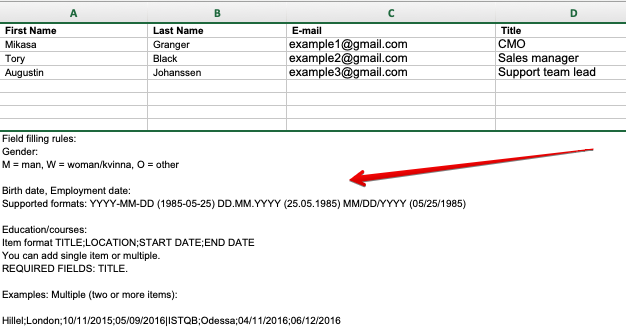 See the note in example file to be sure you input the right data. The phone number must include the country code and be of the right length. After the file is uploaded, you will be redirected to Gallery page with "New" users filter selected. You can view and update new non-activated yet users information, activate or remove accounts manually.